Since the Road to WrestleMania XXXI begins in five weeks with the Royal Rumble in Philadelphia, don’t be surprised if the talk about potential inductees into the WWE Hall of Fame begins to ramp up pretty soon amongst the many online publications. Based on last year’s entrants, the WWE will have to really outdo itself to top the excitement that was felt in New Orleans. While the opinions expressed by this writer may not be the same as those who read Camel Clutch Blog, it should be known election to such a hallowed hall is like any other selection process of honor. It is vastly political, and like any side taken or in this case a situation where the members of the selection committee are jockeying for their “guy” or “gal” to get in cause great debate and in most cases – strife. The WWE inducted Scott Hall, but only as Razor Ramon. The character evidently had great value to the success of the company, but Hall as in individual with his myriad of personal issues, may not have been a favorite amongst the voters. Does his induction mean Kevin Nash gets the nod this year? Now that both Trish Stratus and Lita have walked through the doors, which woman is next in line? Torrie Wilson, Sable, maybe Stacy Keibler? When will the WWE make the right call and add Chyna to the list of entrants? She, like Hall, could be inducted based on her character and her contributions to the company. Oh you didn’t know? Ok, I am not going to go through the entire entrance theme, but you get the picture. And the fact the Outlaws came out of retirement and proved they were just as good this year than they ever were was something great to see. The duo achieved high levels of success and became extremely popular in the late 1990s as members of the second incarnation of the professional wrestling stable D-Generation X. 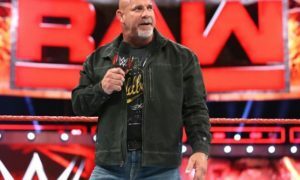 The promotion has described James and Gunn as “the most popular duo of WWE’s Attitude Era.” In the same time period, the New Age Outlaws had the third highest merchandise sales in the WWF after Stone Cold Steve Austin and The Rock. And if you’re not down with that we got two words for you – you know. Farris entered the World Wrestling Federation (WWF) in 1986 under the ring name Honky Tonk Man. Honky made his televised WWF debut on the September 28, 1986 episode of Wrestling Challenge, defeating Terry Gibbs. Originally pushed as a fan favorite wrestler with an Elvis impersonator gimmick, Honky soon cut a series of promos with Jesse “The Body” Ventura that aired on the WWF’s syndicated programming asking fans for a “vote of confidence,” while these promos actually insulted fans in the manner of Andy Kaufman before him. The results predictably came back negative, and it was not long before Honky turned into a cocky villain and took on Jimmy “Mouth of the South” Hart as his manager. Hart was billed as “Colonel Jimmy Hart” for Honky’s matches, a reference to Elvis’ manager, Col. Tom Parker. Honky had been the Intercontinental Champion for one year, two months and 27 days, a record that still stands today. He wrestled mainly as a heel for the World Wrestling Federation (WWF), National Wrestling Alliance (NWA), and American Wrestling Association (AWA) during the 1970s and 1980s. In 1976, he challenged Bruno Sammartino for the WWWF Heavyweight Championship. This was a huge draw around the northeastern part of the United States and at Madison Square Garden, and was one of Sammartino’s last great challengers before losing the title to Superstar Billy Graham, which ended his second, shorter WWF title reign. When Bob Backlund later won the title, Patera also unsuccessfully challenged him. At the height of his career, in 1980, he simultaneously held the WWF’s Intercontinental Championship, and the NWA Missouri Heavyweight Championship, two very prestigious titles of that era. He was one of the most hated heels in wrestling (winning Pro Wrestling Illustrated’s “Most Hated Wrestler” award in 1977), and often used his Swinging Full Nelson to “injure” babyface opponents during matches (most notably Billy White Wolf in August 1977). In the WWF, Patera resumed his feud with Hogan, and also assisted Big John Studd in his feud with André the Giant, most notably helping Studd cut Andre’s hair after both had attacked him. She first rose to prominence in the professional wrestling promotion the World Wrestling Federation (WWF) in 1997, where she performed under the ring name Chyna and was billed as the “Ninth Wonder of the World” (André the Giant was already billed as the eighth). A member of the stable D-Generation X, she held the WWF Intercontinental Championship (the first female wrestler to do so) officially on two occasions and WWF Women’s Championship once, and was the first female wrestler to participate in the Royal Rumble and King of the Ring events. In June 1999, Chyna became the first woman to qualify for the King of the Ring tournament. She was also the first female to be the number one contender for the WWF Championship, but lost the spot to Mankind before SummerSlam in August. Later that year, she became a fan favorite again during her long feud with Jeff Jarrett. At Unforgiven, she had a match for the WWF Intercontinental Championship against Jarrett, which she lost. Since Razor Ramon is now in, will Nash, who with Hall may have created the greatest storyline in wrestling history. Between WWE, WCW, and TNA, Nash has won a total of 21 championships, including being a six-time world champion (a five-time WCW World Heavyweight Champion and one-time WWF World Heavyweight Champion), and a 12-time tag team champion between the three promotions. Although he had only one reign as WWF Champion, Nash is recognized by WWE as the longest-reigning WWF Champion of the 1990s, having held the title for 358 days. Nash was a member of The Kliq, a group that included Shawn Michaels, Triple H, Scott Hall, and Sean Waltman. 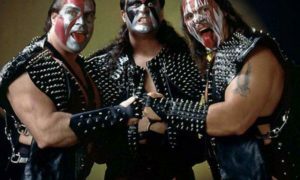 He is one of the three founding members of the New World Order (nWo), along with Hulk Hogan and Scott Hall.